This was a pretty quick and easy challenge. 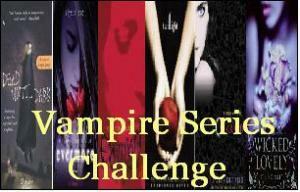 I choose Level 2 which was two more books from a current vampire series. I went beyond that a read three since that was how much I had left to read in the Sookie Stackhouse challenge. This was lots of fun! I loved this challenge! I had read the first 7 books before the challenge began, which left me with 3 complete books, the short novel complication book, and all the other Sookie short stories. I had a great time finally catching up and most of all finishing the most recent book to complete the challenge. These will definitely be books I will revisit over the course of years and as the tv series progresses. 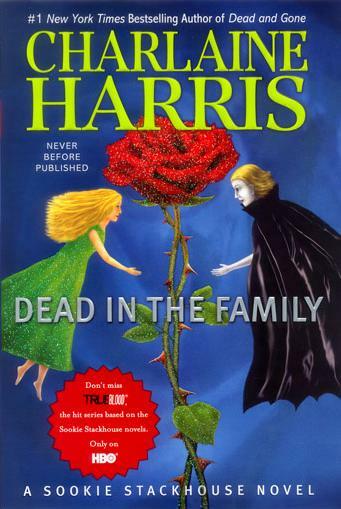 It has been a long time coming it feels like since a Southern Vampire Mystery has been released and the adventures of Sookie Stackhouse could continue. I’m not sure what my expectations where before starting to read but I heard that there wasn’t the type of action in this specific book as there were in previous ones. I loved it! The main focus of Dead in the Family is – of course – family. Sookie is struggling to recover from the Fae war and the loss of friends and family. She relationship with Eric is strained as she tries to become her former self. All varieties of supernaturals enter her world when the weres want to use her land and unknown faeries are nearby. Eric gets a surprise of his own when his maker and brother suddenly make and unannounced visit causing even more turmoil in his relationship with Sookie. I loved the parallels and patterns of this book, and the simplicity of life that revolves around family issues. I am very curious as to what she has in store for Sookie, Eric and the rest of the characters in the next book and more. I’m finding it’s not very difficult to jump between the books and the TV show when there are so many differences. 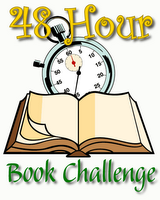 MotherReader posted this very informative update on the 48 Hour Book Challenge. I can’t remember if I joined in this last year, but if I did I don’t think I was very successful. I look forward to being able to get some good reading in for the challenge. When you finish, write a final summary that clearly indicates hours — including partial hours — you spent reading/reviewing/networking, the number of books read, and any other comments you want to make on the experience. It needs to be posted no later than noon EST on Monday, June 7th. Also, check in at the Finish Line post on MotherReader that will be posted Sunday and please link to that post from your final summary post. As it gets closer, I’ll look at my stack and decide what I want to focus on and what challenges need my immediate attention. It’s been awhile since I completed a challenge so I was very excited to finally check one off the list. I loved this challenge but next year will have to increase the number I should since I flew through this challenge. This month is hosted by One Persons Journey through a world of Books. I didn’t have a problem completing my April goal with the Read-a-Thon landing in the middle, but I’m enjoying these little challenges every week. I had a couple more to add but they were re-reads – even so I was pretty impressed, especially since May has been the slowest reading month ever. 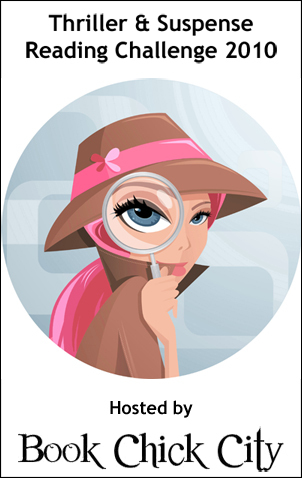 The fifth installment of the Women’s Murder Club has Lindsay and crew searching for a killer who may not even be there. When a wrongful death suit brings attention to a local doctor and hospital accused of killing otherwise healthy patients by prescribing the wrong medication, suspicion is thrown on everyone. To make matters worse, Yuki’s mom is recuperating in that very hospital and no one can decide if their fear is rational or not. 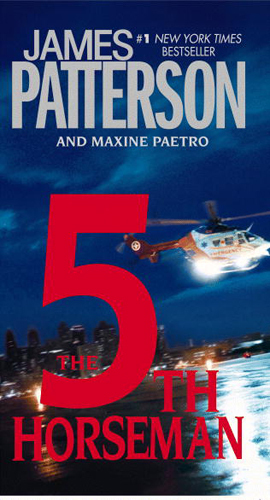 Lindsay and the WMC find themselves searching for answers that are hard to find while the clock is ticking away and worry of another dead patient. Plus, the long distance relationship between Lindsay and Joe is starting feel the strain and compromise their future. I’m starting to get into familiar territory with the books and what I remember more. I know there’s some good juicy stuff coming up and I’m anxious to finally get to the 9th Judgment.